Although it is generally acknowledged that the views from it are amongst the best in Sussex, many people don’t actually realise that the Balcombe Viaduct itself is stunning. Most of my time on the morning trains to Victoria is spent reading and I don’t like being disturbed. However, when the train passes Haywards Heath, I know that I need to keep watch. The second that the train passes a pair of stone pavilions on either side, I know that I should be looking up. It’s the point on the journey where everyone on the train is doing the same thing – looking from one side of the train to the other, like spectators at a tennis match, savouring the stunning view before the opportunity ends when the train passes four more stone pavilions. Whenever I fly back from anywhere, be it to Gatwick or Heathrow, I know that I’m nearly home when I see the marvellous countryside within the idyllic Ouse valley. 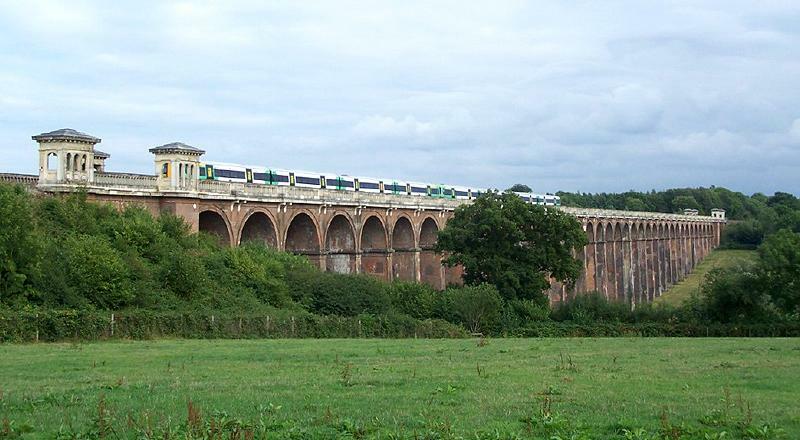 The Grade II* Listed Balcombe Viaduct has 37 semi-circular arches made of 11 million bricks! It is 1,475 ft long and 96 ft high. 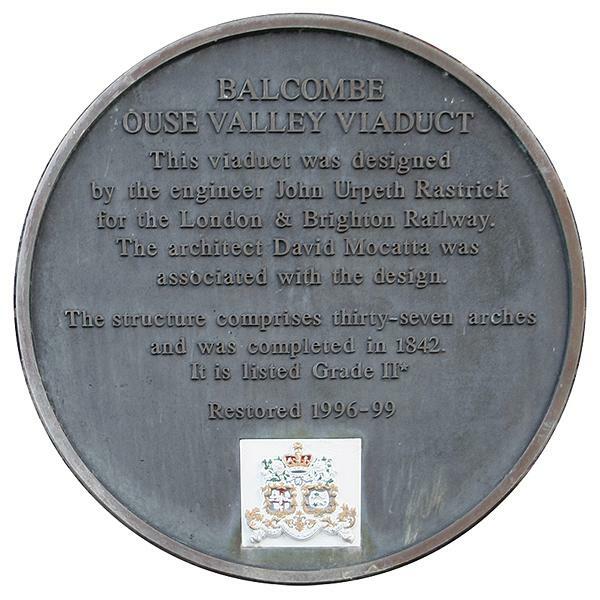 It was built over the River Ouse in 1839-41 by John Rastrick and David Mocatta as part of the original London to Brighton line that also included the nearby Balcombe tunnel and tunnels at Merstham, Haywards Heath, Clayton and Patcham. Although there have been relatively small changes made since, such as trains now running mainly to Victoria instead of just to London bridge, the line remains intact and the Viaduct is used more than ever before. Several months ago, I took a trip out to the Balcombe Viaduct by car with several friends. I was surprised to find that the Ouse is now just a tiny stream and nearly fell in as we walked through some tall plants! Balcombe itself is a small village with a population of around 1800 not far from Haywards Heath. In fact, as we didn’t have a decent map, we just followed the railway line north from Haywards Heath to find it. Balcombe does have a station of its own on the London to Brighton line so it’s not at all hard to reach. I thoroughly recommend it. So, if you do happen to find yourself on the train between Brighton and London, be sure to keep an eye out for the stone pavilions…then sit back and briefly relax!